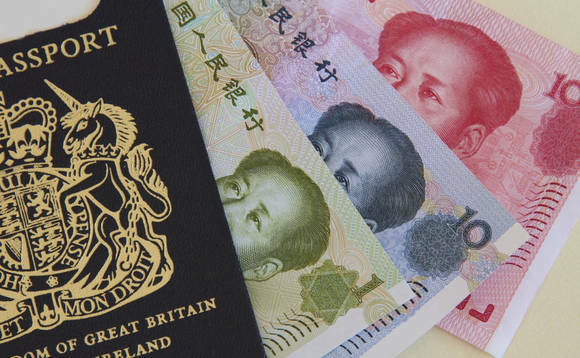 The number of Chinese HNWIs and UHNWIs applying to come and live in the UK on so-called “investor visas” jumped by 56% last year, as the attractions of living in the UK outweighed Brexit concerns for this group, a London-based private wealth partnership has reported. Wealthy Chinese individuals who applied to participate in the UK’s HNWs and UHNWs applying to come and live in the UK on these investor visas – formally known as “Tier 1 Investor Visas”, which enable the individuals in question to remain in Britain for three years and four months, with an option to extend this another two years – numbered 122 in the year to the end of December, up from 78 the previous year, according to LJ Partnership, a London-based wealth manager. Such individuals have the option of settling in the UK permanently if they invest more – for example, after two years if they invest £10m, LJ noted, in a summary of its analysis of government data. Chinese applicants now account for just under a third, or 32% of the total UK Investor Visa applicants, according to LJ, which didn’t say how many applications by such individuals were accepted last year, or how many had turned such visas into full-fledged citizenships. While many British residents are expressing deep uncertainty about their county’s future after it leaves the European Union, Chinese investors, “common to investors from other growth or emerging markets, continue to regard the UK as one of the securest jurisdictions in which to hold assets”, LJ noted, in its analysis. This unshaken belief in the UK, it added, citing data from Baker McKenzie, saw total Chinese investment into Britain reach $20.8bn in 2017, more than double the previous year’s total of $9.2bn. Such investment has taken place in spite of the Chinese government’s efforts to stem the flow of capital out of its borders, and to encourage greater domestic investment by its citizens and companies. It also coincides with growing concerns on the part of some organisations, including the Organisation for Economic Co-operation and Development, about the degree to which the growing number of citizenship-by-investment schemes around the world are, in its words, offering “a backdoor to money-launderers and tax evaders”. The OECD expressed these concerns in February when it unveiled a consultation, now closed, on whether citizenship-by-investment schemes were likely to enable would-be tax evaders to evade their assets falling into the compliance net currently being rolled out across the globe by the OECD-backed Common Reporting Standard, an automatic information programme thus far signed up to by some 98 countries. Canada got rid of its investor visa programme in 2014, which had been popular with Chinese and Hong Kong nationals, on grounds, it said at the time, that it under-valued Canadian permanent residence and there was little evidence that immigrant investors were “maintaining ties to Canada or making a positive economic contribution to the country”. The US, meanwhile– currently the most popular destination for Chinese investors, according to the South China Morning Post – has been widely reported to be evaluating how to tighten up on its EB-5 visa programme, with the result that yesterday, an Indian business publication noted that immigration lawyers are currently “advising high-net-worth individuals proposing to migrate to the US to speed up” their applications. The UK made changes to its Tier 1 programme, launched in 2008, in 2015-2016 to make it less generous, and interior minister Amber Rudd has said that it is currently considering whether further action needed to be taken. Perhaps not surprisingly, given the recent emergence of London property in particular as an asset class, the LJ Partnership experts found that Chinese investors from Hong Kong were particularly interested in UK commercial property last year, as they have been for some time. They have, though, been “targeting opportunities outside of London as well as in the capital”, they noted, as evidenced by an 11.6% increase in investment into the UK in the 12 months to the end of December. Such investments included the £1bn-plus purchase of major London landmarks such as the “Walkie Talkie”, by Hong Kong’s Lee Kum Kee, and the purchase of the “Cheesegrater” by China’s CC Land. The fact that the prices of London properties are said by some to be softening isn’t dissuading Chinese investors either, according to LJ Partnership director Sam Lawson Johnston. Instead he says, they’re “looking past the short-term political instability of Brexit and [seeing] the current climate as a good buying opportunity. “Many… see the slight softening of prices in the UK as an opportunity for the longer term. As reported, a ranking of what was said to be a definitive league table of the “world’s most valuable passports” , published in January by UAE-based Arton Capital, placed the UK in tenth place, with Germany’s distinctive red Reisepass in first place, followed by the Singaporean passport in second place and Sweden’s in third. Such rankings of investor visa programmes and passports typically vary considerably as the qualities used for rating them vary, depending on the organisation carrying out the research and its objectives.